A universal favorite, we have made shortbread cookies even better! 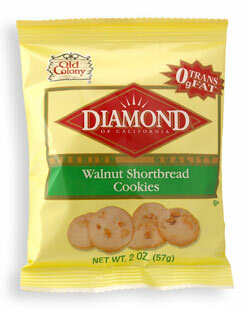 With the addition of Diamond Walnuts, we have enhanced the pleasure of this “Melt in Your Mouth” Cookie. The soft texture and subtle flavor of this cookie will make you want to keep some handy for after school or late-night snacking as well as for serving to unexpected guests. 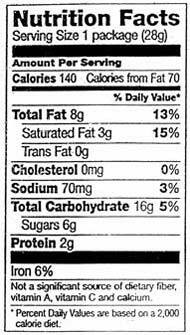 Ingredients: Enriched Wheat Flour (Wheat Flour, Niacin, Reduced Iron, Thiamine Mononitrate, Riboflavin, Folic Acid), Vegetable Oil (Soybean, Palm, Canola), Sugar, Walnuts, Water, Corn Syrup, Fresh Whole Eggs, Salt, Baking Soda, Natural and Artificial Flavor.